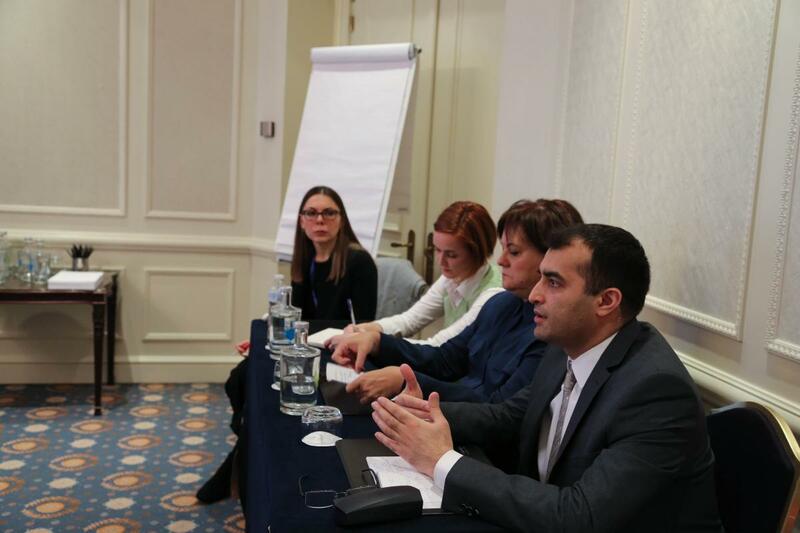 GMF is a leader in civil society support to Eastern Europe and the Western Balkans. Held on the sidelines of GMF’s Brussels Forum, this workshop tackles important challenges faced by the civil society in these regions, and the necessary adjustments to Western assistance. We should change our targets and first of all, the majority of our projects I believe should target young generation and youth unions or individual young people. Because I believe that really to have success in the coming months and years it is very crucial to work with the young people and before starting to work with the young people we also have to ask them what they want and how they see their future. And to have this, maybe it would be better to organize kind of surveys or calls conducted by professional sociologists and professionals in order to learn what they want, and then to adopt and adjust the projects and activities within the projects to the results of these surveys. The second point is new technologies and digitalization because when we have more tendencies showing that governments can interfere more and more, it is very important to apply the new technologies in order to prevent the situation in Balkans and Central European countries to be the same as to what we observe right now in Azerbaijan, for example. It will help in two ways, the first of all, it will help keep the contact with the ordinary people and, you know, to share your position, your opinions with them. But more importantly, it will help for civil society to see and to learn what these people want and what these people need from civil society. It can be in the form of applications, it can be in the form of other technologies which are not directly based on social networks or various websites which can very easily shut down any time so it should be more flexible ways. I hope the civil society donors reflect the reality that a lot of the countries that seem relatively safe and secure, including sadly my own country Slovakia, and the Czech Republic, are by no means safe from challenges to democracy and that they show patience and staying power because the tendency of course is to sort out, fix, and flee. And the reality is we are now beginning to realize that it is a generational struggle, not something that can be fixed in five or ten years. The other big change is it is beginning to be clear that the information space has completely changed, it used to be enough for the civil society actors and those interested in democracy to make the right points via the usual media and via the usual convening. There is a completely different information, the way the information flows is now completely different from what it was a decade ago. When you look at the Visegrád countries, about as many people get the information these days from the digital as from TV. The TV’s monopoly has been completely broken, the press monopoly is being broken, which is both good and bad, good because in countries like Hungary, the state had captured most of the mainstream media. Bad because a lot of the information has gone from press to digital and digital is by no means a domain of free thinking democracy and liberal haven. You can see, you know, as much conspiracy theorists, as many conspiracy theorists on web as democracy or liberal thinkers, which means that for all of us interested in democracy, and interested in rule of law, we need to figure out how to operate in this completely different information environment. And to our sponsors, work with their partners and the countries concerned to make sure they understand the changes to the information environment and make sure they are not sticking to the old ways. I think in general challenges to democratization is not a regional but a global phenomenon, so when I listen to these discussions it echoes; even if a country’s situation is individual, I think this is a global phenomenon of rising authoritarianism and shrinking space. Donors should be very aware that they are handling a global phenomenon, which needs a global debate with solutions that are very much focused on each country. The way to look at it is to really work on sustaining the activism that is still there and also have the flexibility and closeness to the situation to identify new actors and to broaden the scope to look at civil society as anybody active to work on change and development in a country. Go beyond registered groups, go beyond the know field of actors. Reach out to anybody who is thinking, doing, and ready to be involved in thinking about the future rather than the past, which is usually what the authoritarianisms offer – a return to former greatness shrouded in past legends and myths. Make people aware that this is not the blueprint for the future and link different groups that look at the future. Sometimes this kind of mismatch between the technicalities when deciding what kind of projects can be implemented in our countries creates a perception that civil society cannot go up in an organic way. Second, an important constraint for civil society projects is that sometimes international donors involve officials of the state in the different committees deciding which projects will be implemented. If the organization is believed by the government to be too politicized, meaning they are more critical and have more say in areas of competencies, of course the government officials will try to challenge and extract the organizations not seen as friendly to the government. This creates unbelievable inequalities for organizations that remain outside of the area; they are losing competition. An inappropriate understanding of the funding mechanisms could create competition and these examples show to what extent the institutional landscapes involving civil society and transformation of societies are sometimes not up to date.